September 4, 2013  The campaign of the embattled New York City mayoral candidate continues to be rife with drama. 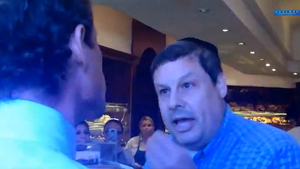 This time, a war of words broke out at a Brooklyn bakery. 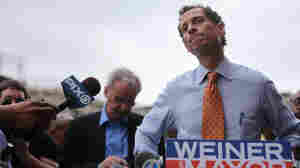 July 25, 2013  Democrat Anthony Weiner's path to the New York City mayor's office got a lot more complicated Thursday, just two days after he asserted that new revelations of his lewd online conduct would not chase him from the race for his party's nomination. Weiner's Own Words: Saying One Thing, Doing Another? July 24, 2013  In high-profile interviews published in 2012 and earlier this year, the former congressman spoke of the "sexting" that led to his 2011 resignation from Congress as being in the past. 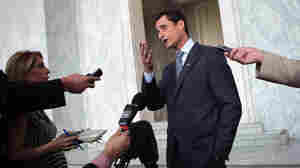 Tuesday, he admitted that the behavior continued at least well into 2012. July 23, 2013  According to a "nightlife" website, Weiner sexted with an unidentified woman about a year after he resigned from Congress. Weiner is trying to revive his political career with a run for New York City mayor. April 22, 2013  The disgraced politician who resigned his congressional seat after sending sexual images to female followers on the social networking site — and then lying about it — rejoined Twitter on Monday. His first tweet was a link to a policy paper he authored. June 8, 2011  Demanding that Nancy Pelosi call publicly for Weiner to resign, RNC head Reince Priebus said the scandal would keep up a steady distracting drip. What he didn't have to say was that he would be one of those making sure the scandal stays in the news.